Nice Villa with good pool area, Gazebo with outdoor table, chairs, sunbeds and BBQ. Ground floor bedroom with separate bathroom, 2 bedrooms (1 double & 1 twin beds) with shared bathroom on the 1st floor with terrace and a double bedroom en suite on the upper floor with terrace & sea view. Space for 2 cars on drive with closing gates. Several restaurants within 15 or so minute walk including Chinese, Italian type & 1 on Beachfront at La Zenia plus Irish bar & other restaurants 20 min walk at other side of La Zenia roundabout. Big shopping complex La Zenia Boulevard approx 10 min drive & supermarkets 5-10 min drive. Hi Many thanks Gary ;we are very happy you have appreciates our house. We arrived at the villa around 930 pm, Anna had given me her mobile number and text me to say she was there to greet us, which was lovely. She showed us around the property. 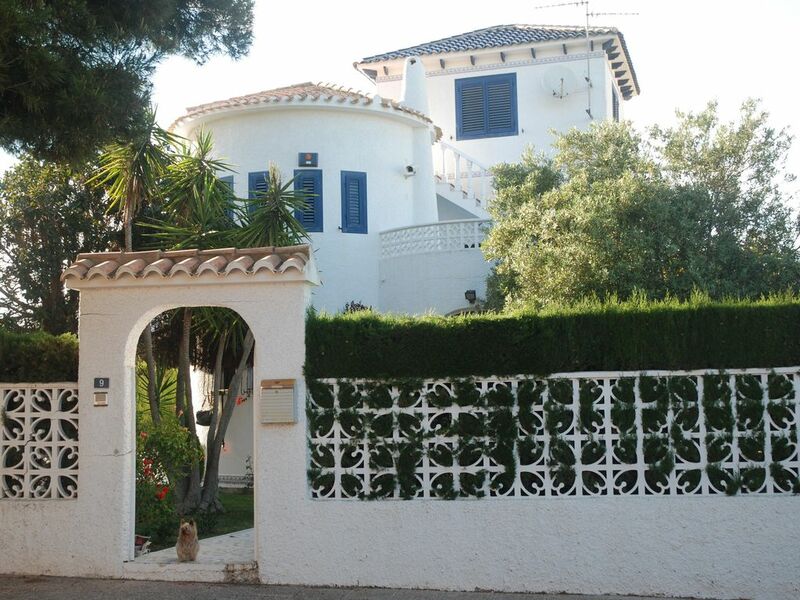 The villa is lovely and spacious with a large curved stone staircase going through the house, there is a ground floor bedroom with bathroom, 2 1st floor bedrooms with bathroom and a further 4 th bedroom in a separate annex which is the tower part of the building! It's ideal if travelling with large families like we were - children and grandparents. We stayed in twice and used the barbecue and outside seating area which was brilliant- it's lovely all lit up and so spacious- there was everything we needed for the barbecue outside. The house was very equipped with crockery and kitchen items, the pool area is brilliant a little chilly when we were there but we still used it!! We loved this villa and have booked again for 2017 it was perfect for us .